The holiday season is almost here. It’s time to start thinking about how you will decorate your home for the season. 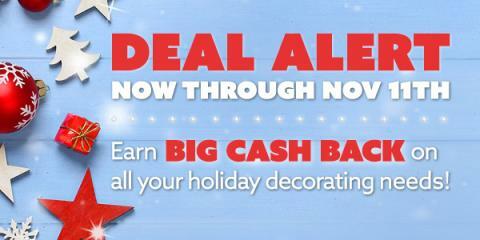 If you are looking for something new this year you can get great deals and cash back for shopping through Swagbucks. Check out all of the awesome cash back you can get from some of your favourite stores. 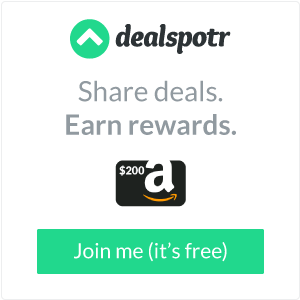 In three simple steps you can start earning cash back on all your holiday shopping. As an added bonus, if you are not a Swagbucks member and join through my link (or you have done so already this month), you will receive a one time 200 SB when you spend $25 or more in any of the Swagbucks Shop stores before December 1st. I love using Swagbucks to earn gift cards to stores like Amazon and Starbucks. If you aren’t familiar with it, Swagbucks it is a site where you earn points, called SB, for doing every day things online like shopping, taking surveys, watching videos and even surfing the web. The more SB you earn, the more gift cards you can get, which are a HUGE help this time of year! I’ve earned enough points to redeem for some Gift Cards to do my holiday shopping with. The only difficult thing in the whole process is trying to decide which gift cards to buy. They make great teacher and bus driver gifts! *Disclosure: This post does contain affiliate links to Swagbucks. Thank you for helping to support this site!